Important tips and tricks about beekeeping to be considered RIGHT NOW! Open/read/print the attached document that contains a wealth of information to help local area beekeepers in maintaining healthy hives in 2019. 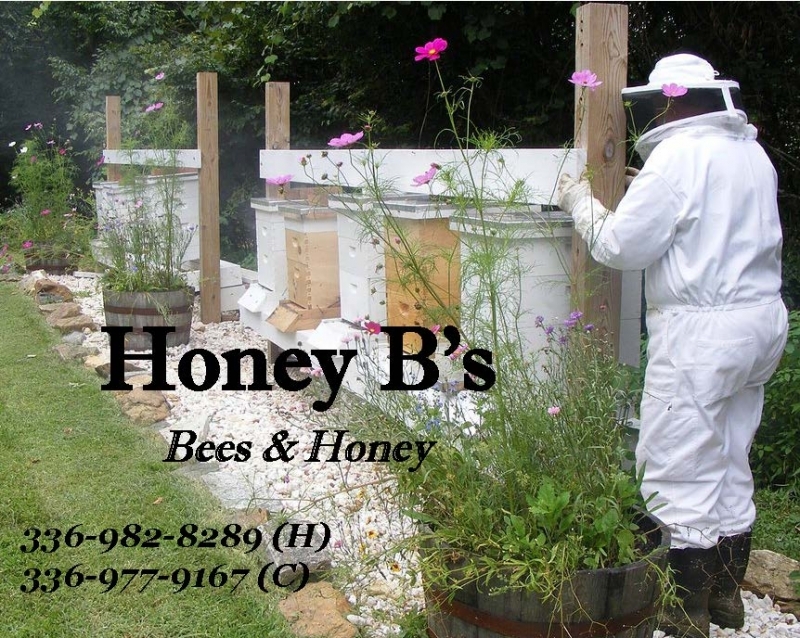 The NCSBA’s Facebook page (https://www.facebook.com/ncbeekeepers) is now being managed by two volunteer editors, Whitney Barnes of the Person County Beekeepers and Christi Henthorn of the Granville County Beekeepers. Chapters are encouraged to designate someone to submit their event information to the editors for posting. Beekeepers can become members of the group page and share ideas and photos. There are some rules and expectations for posting on NCSBA’s Facebook page. Please log on to Facebook and read the information that the editors have posted about the events page as well as the group page. Thank you to Whitney and Christi for keeping the NCSBA connected! Open the attached - UPDATED - downloadable document that provides a host of resource materials for beekeepers in Ashe County. Everyone please remember that oxalic acid and glycerin on shop towels is not an approved (legal) method to control Varroa mites in your bee colonies. As far as I know, the formulations you can find here and there online are tested by individuals, often on very few hives – sometimes as few as 1 or 2 during one season. Efforts like this in the past have often resulted in poor/no mite control or dead colonies from overdosing. As we all know, a lot of the stuff you see online is often advanced by people who have little experimental experience and often poor experimental design. Following those formulations makes your bees part of those weak experiments. My suggestion is to wait for controlled studies run by recognizable research folks so you’re sure you can get good mite control and not brood, queen, or colony damage. * At a recent meeting, Jack Cahn showed a program on Oxalic Acid Towel Treatment and another video on extraction. The towel treatment is so important, a link is posted here. * Thanks to Jill McKinney for this information. Yesterday, I picked up a bunch of stink bugs around the house and delivered them to my fish in the pond. I then went over to check on my bees...WRONG DECISION!!!!! I have worked in the bug industry forever and I found out only yesterday that stink bug warning pheromone solicits a sting response from honeybees. Bam! With the swirling news stories about the recent incident in South Carolina of a pesticide bee kill while trying to control the Zika mosquito, we thought it prudent to update NC beekeepers over this past holiday weekend about the current activities concerning the same issues: Click here to see the online news article. In short, there are currently no immediate plans to initiate spray programs on a state-wide scale in NC. That said, there are many individuals, private citizens, who are paying commercial companies to treat their property. It is these ongoing treatments that can have enormous impact on backyard beekeepers and native bee populations. Communication is key, and we all need to do our part. This begins by educating ourselves about all aspects of this important issue, and requires that we notify our neighbors and public officials about apiaries and spraying. This article should give context and helpful links for anyone to be able to do just that. Please disseminate to anyone else who you think may be interested. Please also note that there was since an erroneous FaceBook post that went viral citing a (very) old legacy web page from NCSU written by John Ambrose following hurricane Fran and the state-wide mosquito spraying that ensued. That information is clearly not current, nor did it even refer to the eventuality of spraying, but it has nonetheless been wiped from the CALS archives. It is unfortunate that this caused much confusion, particularly after the updated link above, but if there is a silver lining it has prompted many beekeepers to take advantage of registering their apiary locations with the NCDA&CS. Greg Fariss, regional Apiary Inspector for Ashe County provided the below link with useful information on the control of Varroa mites. In the guide, it is recommended that all beekeepers remain vigilant to detect high Varroa mite levels and be prepared to take timely action in order to reduce mite loads. Effective mite control will reduce colony losses and avoid potential spread of infectious disease among colonies. * For those who were unable to attend the August meeting of the ACBA where Joy Lewis gave an informative presentation regarding the use of different essential oils - both for your bees and for yourself - the below, downloadable files are copies of the handout materials which Joy shared and also encouraged widespread dissemination for beekeepers in Ashe County and beyond! Post by Ashe County Beekeepers Association.